Inner urban living has never looked so bright with Citro West End Apartments. 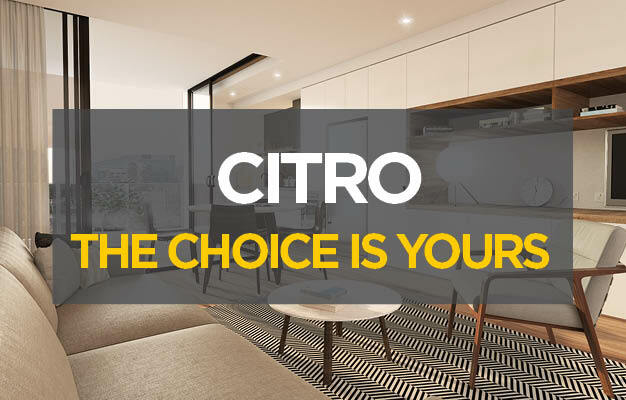 Ask us about the special offers and features of our Citro Advantage, Citro Premium and Citro Signature Apartments. Citro’s incredible facilities are nothing to keep quiet about. 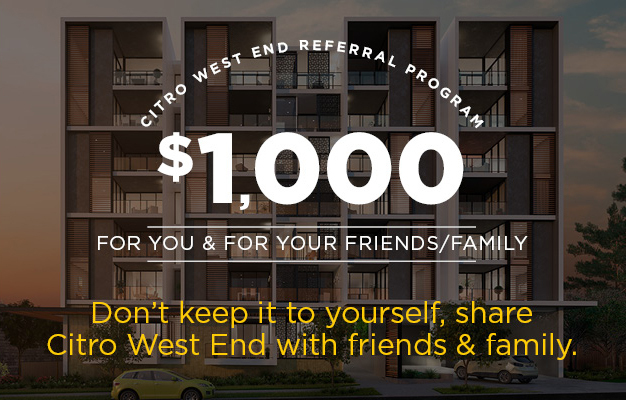 When you recommend Citro to your friends or family, both of you will receive $1000 when they purchase an apartment. Imagine being able to enjoy the rooftop sky terrace, with its pool, barbecues and outdoor cinema with those closest to you, whenever you all feel like it. Not to mention all the cafes, restaurants, parks and galleries you could explore in Brisbane’s thriving West End precinct. T&Cs located on the Refer-A-Friend Application Form.